My 1969 Topps Frank Robinson baseball card. I collected baseball cards when I was young and had all or virtually all of the 1969 Topps set, but this card does not come from that collection. Unfortunately, my original set was ruined by Tropical Storm Agnes in 1972 as the cards were in a box in a basement closet that was the only part of the house that saw significant water ingress. What was the Motor Trend car of the year fifty years ago? How about this? From hotrods.com a picture of a 1969 Plymouth Road Runner. The Road Runner, introduced in 1968, was the Chrysler Corporation effort at bringing an affordable muscle car to the market. “How do we choose the Car of the Year? In 1951, when Motor Trend originated the award, selection was relatively easy because the American automobile industry was structured rather simply. When you talked of Ford, for instance, there was Standard or Deluxe trim in two-door, four-door, convertible, and station wagon body styles. The engine was 100 hp V-8 or 95 hp six and you had your choice of three-speed standard transmission or the just-introduced Fordomatic. The option list consisted of radio, heater and white sidewalls. 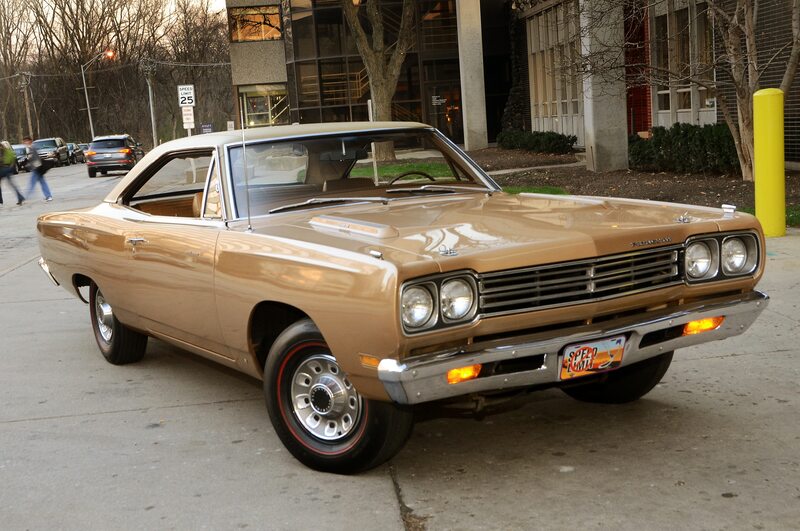 The Road Runner was available with the legendary 426 Hemi, the Elephant, for 1969, but the base engine was the 383 cubic-inch 4-barrel rated at 335 HP/425 LB-FT of torque. About 82,000 Road Runners were built in 1969; about 2,000 of those were convertibles. The car was available with either a four-speed manual or three-speed Torqueflite automatic. If I wrote this on Twitter I would probably receive a visit from the Secret Service. I might, anyway. Keep your hands out of our pockets or we will cut off your hands.